This little guy seemed to be taking a rest against the post while watching mom swimming. I think he was wondering why he couldn't swim. I find a bears feet to be so interesting. Usually you can't get a good look at their feet. 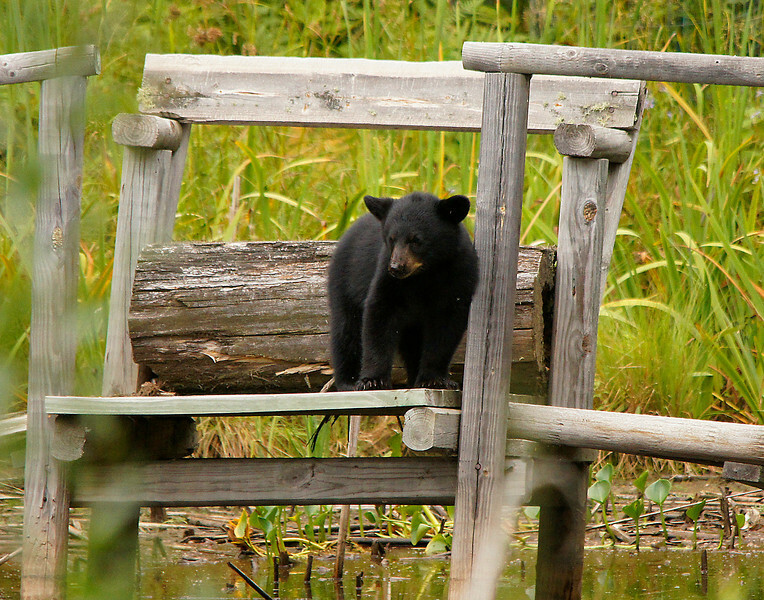 The last cub was still pretty small and didn’t seem to trust our rickety old bridge. 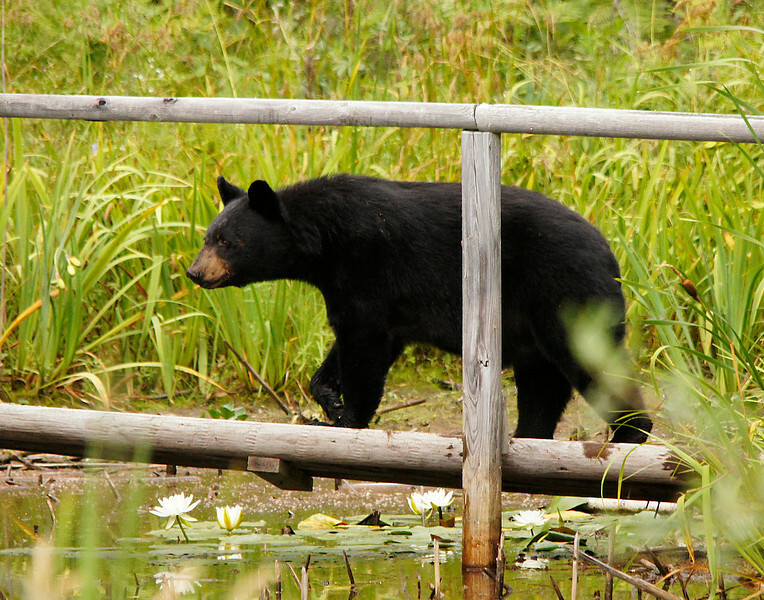 Most of the wildlife encounters happened before heading into the BWCAW. We saw a fox, coyote and wolf along the road. 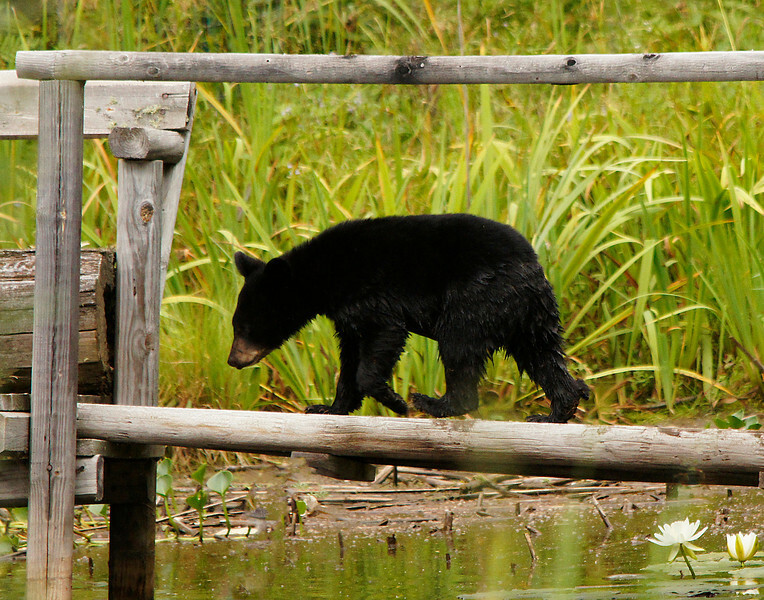 A couple days earlier we had a black bear family visit our home. 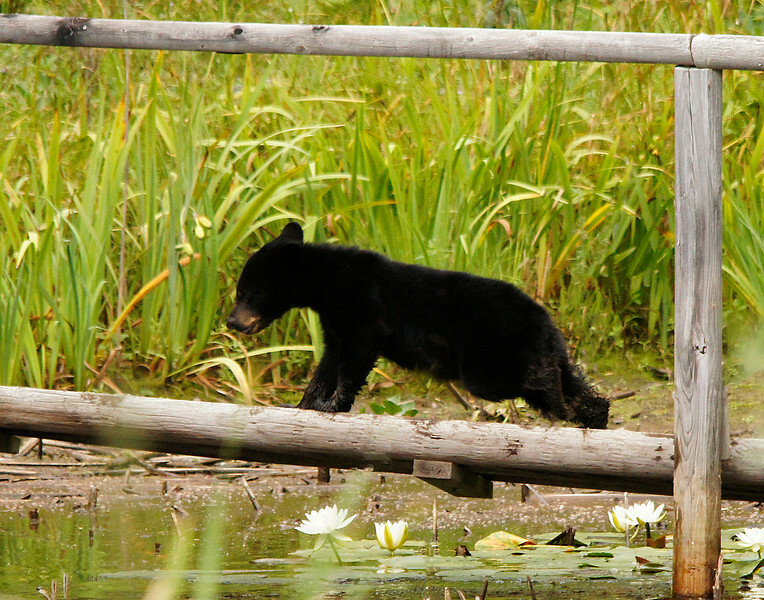 Mom led her three cubs across the bridge that we built over our pond. 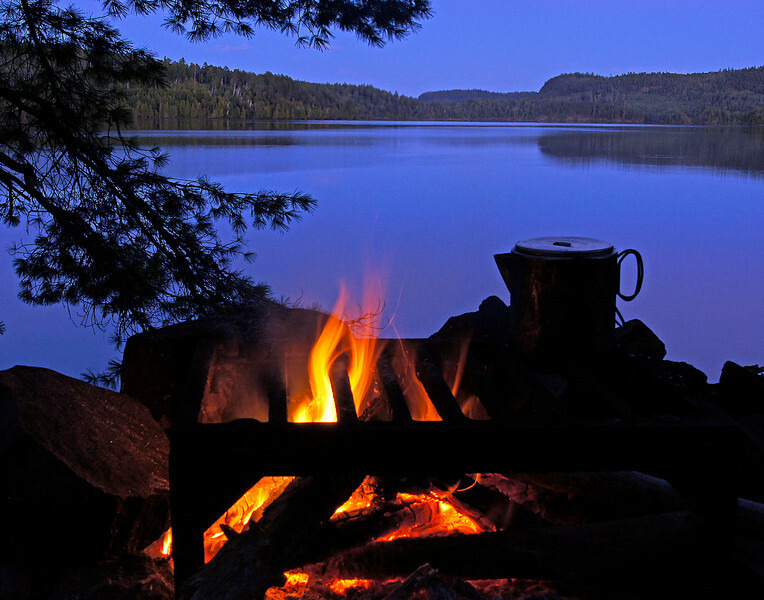 I had another opportunity to spend three days in the beautiful Boundary Waters Canoe Area Wilderness. 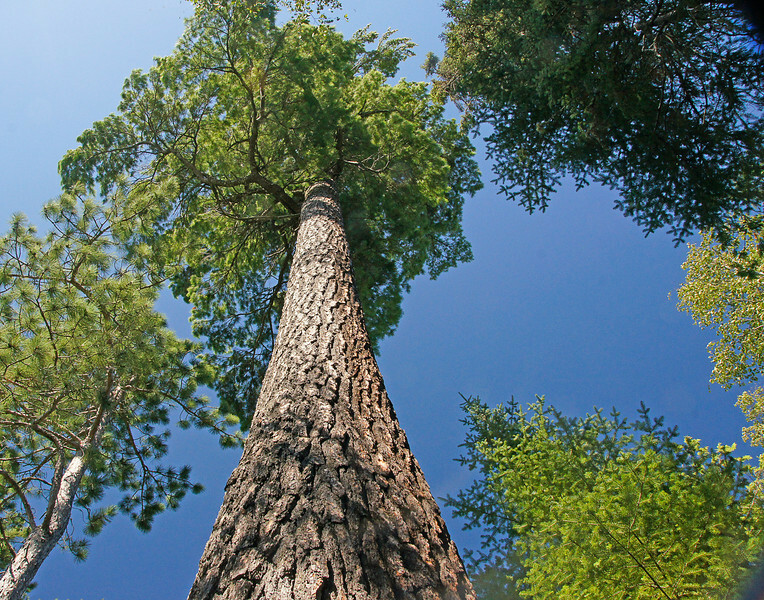 Our son Adam and a friend of ours Paul Wannarka accompanied me to Clearwater Lake where we camped in what all of us considered a five star campsite. 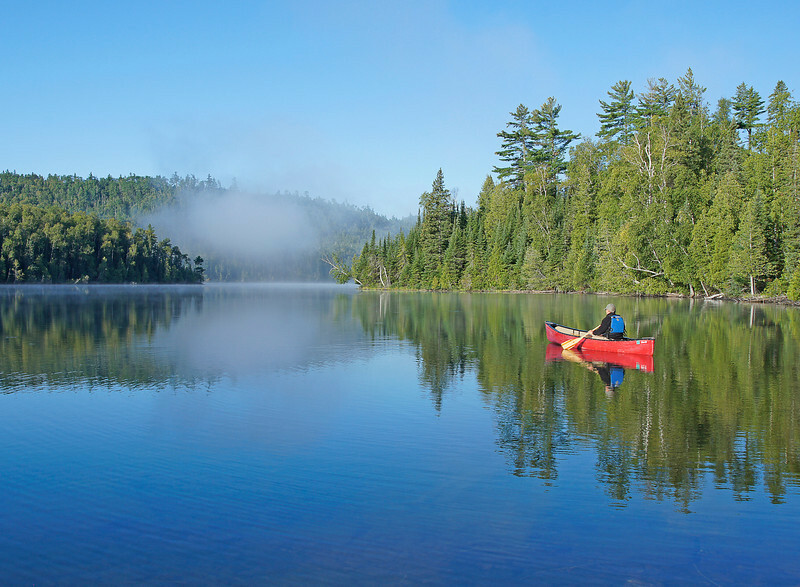 It was ideal conditions for canoe camping. Calm waters with temperatures in the 70’s during the day and 60’s at night. Each morning we had fog covering parts of the lake creating awesome photo opportunities. The loons were gathering for their migration south so we were serenaded with wails and tremolos each morning and evening. We even had a barred owl that visited our campsite both nights. They have such a distinctive call. 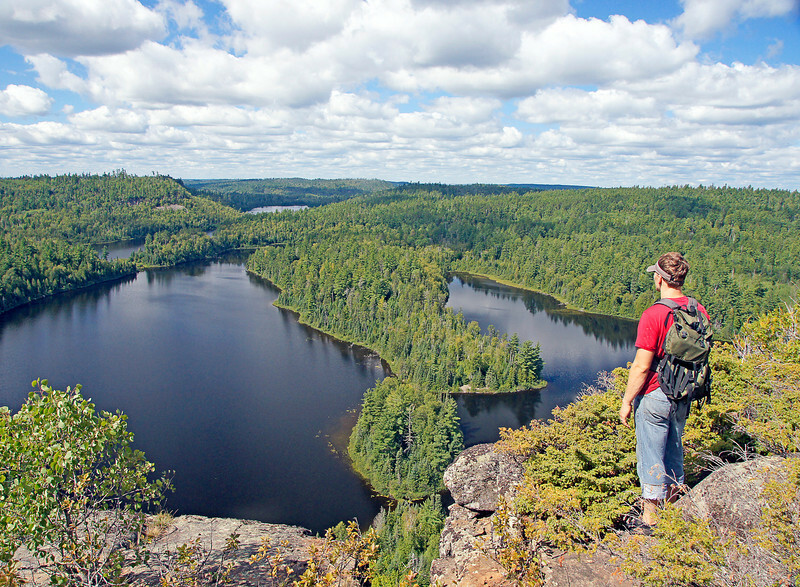 We hiked part of the Border Route trail that took us to three of the most beautiful overlooks in the BWCAW. 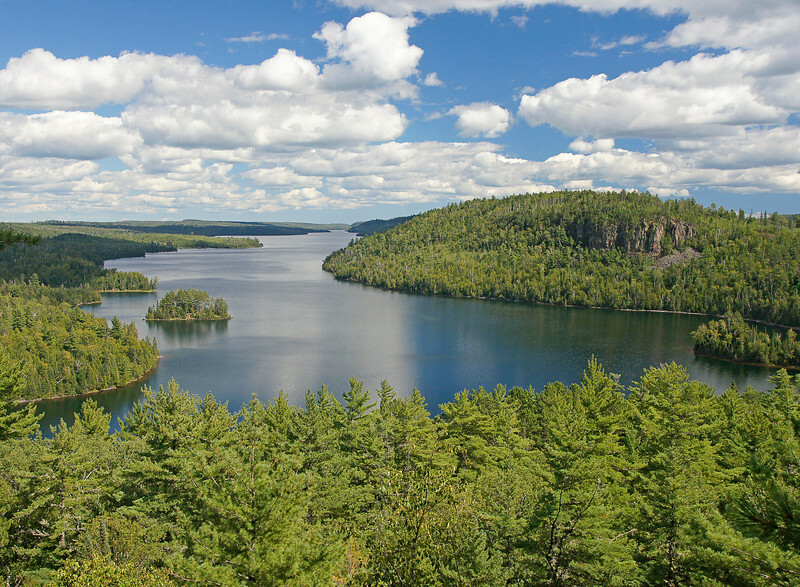 From the west end of Mountain Lake we could see for seven miles along the Canadian Border. The third day we hiked up to the second overlook on Mountain Lake that gives you a view to the west. As we were standing there overlooking the lake we noticed something swimming about a mile away. It turned out to be a deer that swam across the bay. For a deer to swim that far we thought it must have been pursued by wolves. 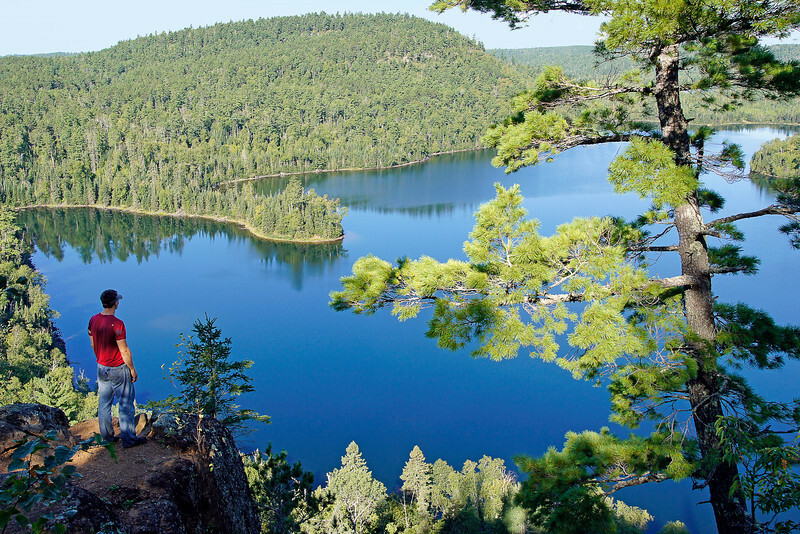 A two mile hike along the top of a pine covered ridge brings you to the top of a rocky cliff overlooking Watap Lake. The hike is rugged but the views are worth the work. We saw lots of bear and moose sign while hiking the top of the ridge but didn't come face to face with either.